Free Shipping on all orders. No code required. CUTE bikes at LittleMissMatched $59.40 shipped! Helmets $12.80 shipped! New Kohls Codes! Redeem Kohls Cash! One Day Sales! Free shipping on $75 orders - no code needed. Don't forget to redeem your Kohls Cash! $22.39 after 20% off code! $47.99 after 20% off code! $10.63 after 20% off code! $13.99 after 20% off code! $25.59 after 20% off code! $8.96 after 20% off code! $15.99 after 20% off code! $23.99 after 20% off code! Select in-store pick-up to avoid shipping. 6pm Deals! Boots you need now! Starting at $13.99! Free shipping! Free Shipping on $100. No code required. Halloween Tees - Just $9 Shipped!! *Some of these aren't showing up for $6.99 yet - you may need to try back later. ALL of these will be $6.99 by the end of the day. Sometimes LOL is just a little slow on getting their deals posted. Taste of Home Magazine Subscription for just $3.99/year! Please allow 8-14 weeks for your first issue to arrive! America's #1 cooking magazine, with over 85 homestyle family recipes per issue. You will receive 8 issues per year & you can buy up to a 4-year subscription! Claires.com Up to 75% off clearance + 10 for $10 is back! 50% off shipping when spend $25 or Free Shipping on $45. 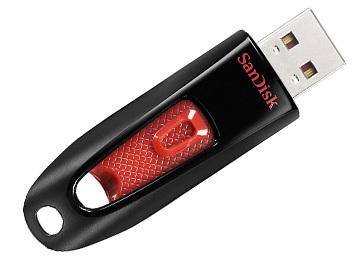 SanDisk Ultra USB Flash Drive 8GB $7 shipped! 16GB $10 shipped! Today's Zulily Deals - Girls Boots! Lane Bryant has 30% off their shoes right now. There is also a code for $25 off $75. You can combine two pair of shoes to equal $75 and use the code to get two pair (including boots) for just $50. Shipping is FREE to your local stores. Add both to cart and use code for a combined total of $51.92 w/FREE ship-to-store! Discover Magazine Subscription for just $4.99/year! Please allow 8-14 weeks for delivery of your first issue! Discover is an award-winning, clearly written general interest magazine devoted to the world of science and technology. It intelligently explores all areas of science from archeology to ecology, technology to medicine, and astronomy to physics. Each subscription comes with 10 issues and you can buy up to a 2-year subscription! You can renew your subscription by using the exact same name and address as your existing subscription on your order.